PROXIMATE CAUSE: What the heck is proximate cause and why is it important in a California personal injury case??? Proximate Cause is a legal term that refers to an event sufficiently related to a legally recognizable personal injury to be held the cause of that personal injury. California uses two types of causation in the law, cause-in-fact and proximate (or legal) cause (foreseeability). Cause-in-fact is determined by the "but-for" test: but for the action, the result would not have happened. For example, but for the person falling asleep behind the wheel, the accident would not have occurred. Proximate Cause (Foreseeability): The most common test of proximate cause under the American legal system and, of course, in California, is foreseeability. It determines if the harm resulting from an action was reasonably able to be predicted...it is usually used in respect to the type of harm. It is foreseeable that throwing a baseball at someone's head could cause the head injury or brain damage for example. You need to have proximate cause in your personal injury case because without it you do not have negligence - proximate cause (causation) is one element of negligence and you need it in order to have a negligence legal claim. Thus, it is very very important to your California injury case!! 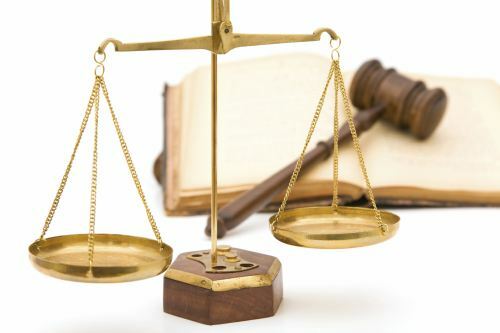 ?SUMMARY JUDGMENT MOTION: What is a summary judgment motion , and why is it relevant to my California personal injury case? ?NEGLIGENCE: What is the legal term negligence and why is it important in my San Diego personal injury case? ?PROXIMATE CAUSE: What the heck is proximate cause and why is it important in a California personal injury case?? ?